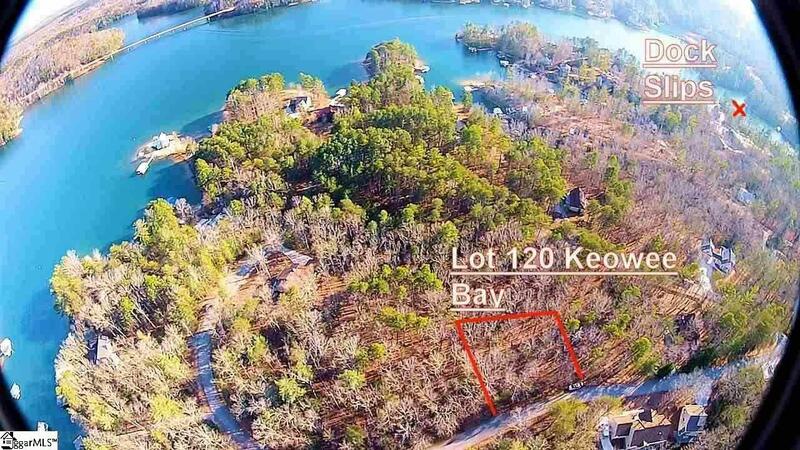 Gentle sloping Lake Keowee interior .610 acre lot with hardwood trees, boat slip #18 and easy access to both the boat ramp and boat slip area. Lot lines clearly marked with orange tape. $814 HOA fee includes boat slip fee.